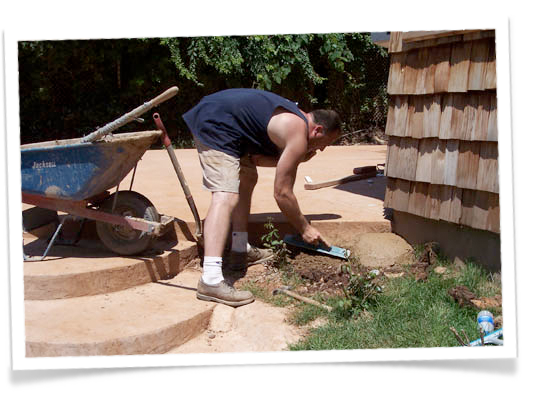 Looking for stamped concrete contractors in NJ? The Stamped Concrete Guys system changes ordinary gray concrete surfaces into exceptional architectural design. We create unique, sustainable, and cost-efficient landscapes that require little maintenance and provide great longevity. Stamped concrete can be made to look like authentic brick, slate, stone, granite and more. Architectural concrete can be shaped and beautifully integrated into any landscape design. Stamped concrete is easy on the budget and a creative way to add a decorative touch to your backyard design. The Concrete by Design system changes ordinary gray concrete surfaces into exceptional architectural design. We create unique, sustainable, and cost-efficient landscapes that require little maintenance and provide great longevity.